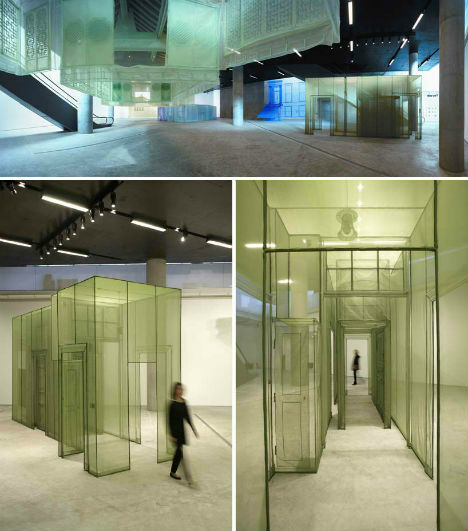 They hover, diaphanous, among their solid surroundings like ghosts of structures that have come and gone. 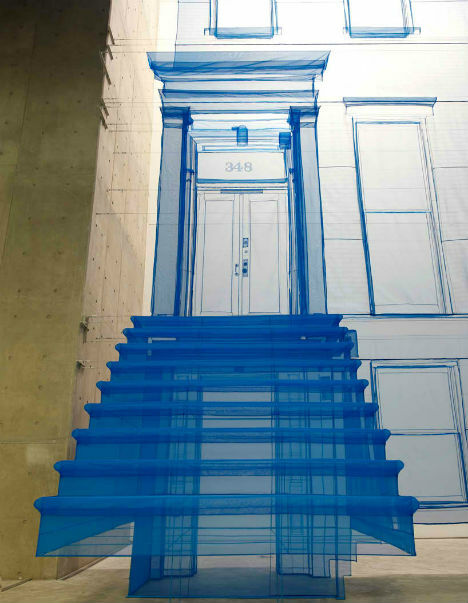 These fabric installations by Korean artist Do Ho Suh transform the structures where they’re installed, creating new environments of silk and metal armatures. 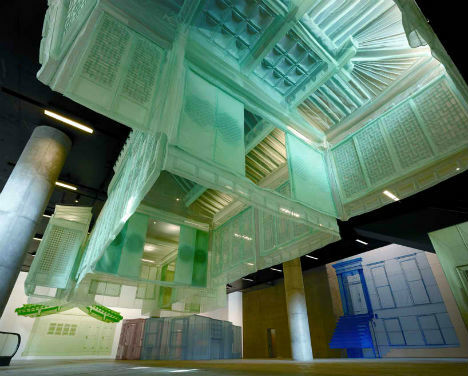 The artist’s architectural sculptures have been brought together under one roof for ‘Home Within Home‘, an exhibition at the Leeum Samsung Museum of Art in Seoul, South Korea. 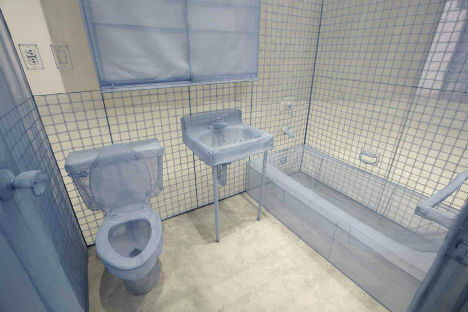 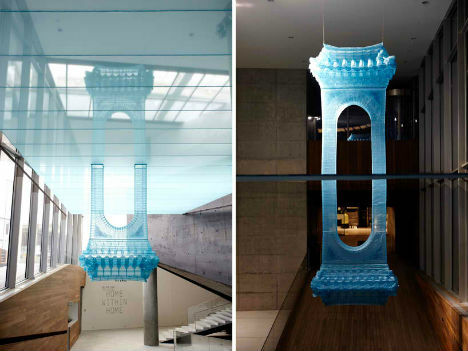 Previously on display at New York’s Lehmann Maupin Gallery, ‘Home Within Home’ is a series of Do Ho Suh’s recent fabric works that explore the the idea of home and the sense of cultural displacement that comes with immigrating to a new place. 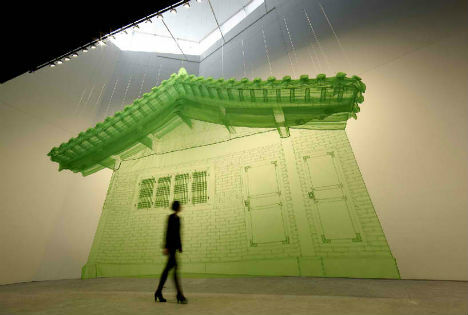 Splitting his time between South Korea and New York, the artist found that when he returned home, everything seemed different.